THIS YEAR, THE NETBALL TEAM FROM CHANEL COLLEGE WILL BE AMONGST THE 72 SCHOOLS THAT WILL TRAVEL TO BUNDABERG FOR THE 2019 QUEENSLAND INDEPENDENT SECONDARY SCHOOLS NETBALL COMPETITION, ALSO KNOWN AS QISSN. Chanel College has been attending the annual QISSN carnival for the last nine years. The 2019 QISSN team is looking forward to this year’s competition. With a host of talent from local and regional representative teams, the 2019 team is hoping to improve on the 2018 result which saw Chanel win Silver in Division 3 and finish an outstanding 18th overall out of 72 schools. In an amazing effort, ten players from Chanel College –Kaitlyn McAlister, Hannah Overend, Kasi Richardson, Imogen Collins, Katie Skinner, Brianna Hume, Hannah Elliot, Jordan Porter, Jada Walker and Isabella Zerner- will be the only members of the team from the Gladstone Region to be heading to Bundaberg for the Carnival from 30 June – 5 July. 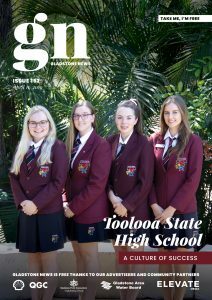 For a relatively small co-educational College in Gladstone, Chanel College has a strong netball tradition, dominating inter-school competitions and consistently competing in Gladstone Netball Association Tuesday Night Netball competition. The whole College community and the City of Gladstone are behind the team – but as you can imagine considerable costs are involved. The Chanel College QISSN Netball team is seeking assistance from sponsors, to support its campaign in Bundaberg. Can you help?